The DOJ and Law Enforcement Agencies Are Going After SDVOSB Companies for Allegations of Procurement Fraud. Our Lawyers Give the Straight Talk When You are Applying for SDVOSB Status of If You are Subjected to An Investigation for SDVOSB Fraud. 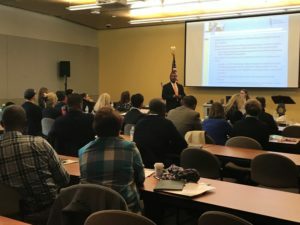 The Service Disabled Veteran Owned Small Business Certification Program (SDVOSB Certification) is steadily making its mark in government contracting. However, small businesses sometimes are not aware of the various veteran government contracting rules that apply to set-asides, bid protests and the many nuances that apply to the disabled veteran owned business certification process. The government contract law attorneys at Watson & Associates, LLC often serve as general counsel for veterans and service disabled government contractors and help clients with how to become a certified service disabled veteran owned small business. Our team of SDVOSB certification attorneys ensures that businesses can reduce liabilities while safeguarding their revenues from government contracts. The law firm uses over 30 years of combined experience to protect your federal projects and reputation while safeguarding your bottom line. Whether there are disputes with the unique VA qualifying regulations, SDVOSB set-asides, sole source decisions or other disputes, our lawyers provide legal advice and litigation services to clients across the country. As a verteran-owned small business law firm, Watson & Associates, LLC serves as general counsel for SDVOSB contract clients across the United States by helping them to avoid frequent and costly mistakes made during the contract performance stage and during litigation. There are several legal issues that arise with Disabled Veteran Owned Business Certification. When a competitor challenges your status or the VA denies your service disabled veteran owned small business certification, our lawyers can help. To speak with an experienced Small Business government contract lawyer about how to become a certified service disabled veteran owned small business, call 1-866-601-5518 for a free initial consultation. In order to be eligible for the Service Disabled Veteran Owned Business Certification Program, you and your business must meet the following veteran owned small business certification process requirements for set asides and sole source awards. WHAT IS CONSIDERED A SERVICE-CONNECTED DISABILITY? The meaning of service-disabled veteran is discussed in U.S.C. 101 section (2) and (16), the Department of Veterans Affairs, United States Code. If you are claiming veteran status, then you must be able to prove your active duty service with the US Navy, the US Air Force etc plus proof that you obtained a discharge under other than dishonorable conditions. According to Business Defense’s Website, and for government contracts eligibility, “service-connected” means, with respect to disability or death, that the claimed disability was incurred or aggravated, or that the death resulted from a disability incurred or aggravated, in line of duty in the active military, naval, or air service. If you are applying for SDVOSB status for the sole purpose of getting federal government contracts, you must make sure that all eligibility requirements are met before applying the VA.
WHAT IS A SERVICES DISABLED VETERAN? If you served in the U.S. Military on active duty for the active military, naval, or air force services, you must also have been discharged under other than dishonorable conditions. Apply for SDVOSB certification to the VA for federal contracts is not the place to challenge whether or not you should have received disabled status. A service disabled veteran is a person who served in the active military, naval, or air service, and who was discharged or released under conditions other than dishonorable. Service Disabled: Disability must have occurred or been aggravated in line of active duty in military, naval, or air service and can result from injury or disease Such disability does not require a minimum rating to be considered. A veteran with a 0 to 100% disability rating is eligible to self-represent as a Service-Disabled Veteran for Federal contracting purposes. A veteran with a 0 to 100% disability rating is eligible to self-represent as a Service-Disabled Veteran for Federal contracting purposes. And among other requirements, of course, the business must be “small” under the NAICs code chosen by the government Contracting Officer for the specific contract that the business hopes to win. Basic eligibility requirements for both of the Veteran-owned Small Business programs are set by the US Small Business Administration (SBA) in the Code of Federal Regulations (CFR) 13 CFR 25.11-125.16. How Much Disability Must You Have for Federal Contracts? Federal procurement rules regarding your disabled status do not impose a minimum disability percentage to qualify for service disabled veteran owned small business certification. You can self represent your status for purposes of federal government contracts. However, you must be prepared to defend challenges to your status when there you receive a government contract award. 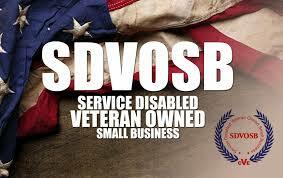 Is Your Business a Service-Disabled Veteran Owned Business Concern? To meet the minimum requirements and to become eligible to bid on federal SDVOSB contracts, you must meet the requirements of 15 U.S.C. 632(q)) and SBA’s implementing Program Regulations (13 C.F.R. 125). It is important for interested parties that are challenging a government contract award to not submit a bid protest to the SBA. Instead, you should read carefully the guidelines spelled out by the VA when it approved your SDVOSB certification application. Can You Get SDVOSB Sole Source Contracts? Fortunately, if your company has been certified, you can get sole source contracts with the federal government. You have to meet the legal requirements of 13 C.F.R. 125.19 and 125.20. These are all areas where our SDVOSB sole contract lawyers and consultants can help you. (ii) $4 million for a requirement within any other NAICS code; By refining your business within your DUNS number and NAICS code, marketing directly to agencies, and establishing relationships with Contracting Officers and Agencies, you can significantly improve its chance of obtaining a sole source contract. This occurs where the Veteran is not working full time for the company and is frowned upon because of the importance of the Veteran’s presence and active involvement in the company. The Veteran not only must be actively involved, but the veteran must also be in the captain’s chair for making certain key corporate decisions – this can include hiring and firing employees, entering into loan agreements, and having final say on proposals and solicitations. The Veteran made mistakes with the self-certification process (non-VA programs). The Veteran cannot be in a position where someone else can override, or must approve certain kinds of corporate decisions. It is great to be able to self-certify, but that can lead to the false impression that there is no need to worry about the details when submitting the self-certification data. The Veterans Benefits Act of 2003 that established restricted contracting in Federal procurement for Service-Disabled Veteran-Owned Small Business Concerns (SDVO SBC) did not require a formal process to certify concerns as SDVO SBC. A disabled business owner certification self-represents its status for all Federal contracts. This is the point when providing “current, accurate, and complete” data in ORCA matters. Competitors often successfully challenge and overturn awards to firms that failed to submit accurate representations and certifications in accordance with the government’s solicitation requirements. It is bad enough to lose a lucrative government contract, along with all the time, money and other resources that are poured into submitting a winning proposal. Things can get worse. Depending on the facts of the situation, and the seriousness of the mistake or misrepresentation, there can be consequences, including possible criminal penalties against corporate officers, for making false statements to the government. SDVOSB Contracting Opportunities: The law requires that government agencies establish contracting goals. Agencies must reach out and consider small businesses and disabled business owner certification for SDVOSB contracting opportunities. Twenty-three percent of contracts must be awarded to small businesses and three percent to service-disabled veteran owned businesses. 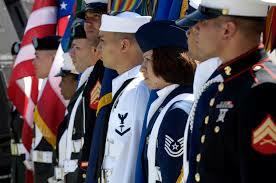 The VA is one of the largest federal procurement organizations, awarding over $3 billion to Veteran owned companies. Opportunities with GSA: There are also opportunities with the General Services Administration (GSA). GSA contracts are designed to meet diverse agency requirements. Federal agencies may issue task orders and some are set aside exclusively as opportunities for SDVOSB. The nutshell is: the SDVOSB is a great pathway to build success as a Service Disabled Veteran with a keen awareness of the opportunities out there and how to navigate the regulations. So, there are definitely opportunities out there. And, understanding the government’s procurement rules is critical to your success as a government contractor under the FAR and relevant VA procurement regulations. (1)Size of concerns to an SDVO SBC joint venture. (i) A joint venture of at least one SDVO SBC and one or more other business concerns may submit an offer as a small business for a competitive SDVO SBC procurement or sale, or be awarded a sole source SDVO contract, so long as each concern is small under the size standard corresponding to the NAICS code assigned to the procurement or sale. (ii) A joint venture between a protégé firm that qualifies as an SDVO SBC and its SBA-approved mentor (see §§ 125.9 and 124.520 of this chapter) will be deemed small provided the protégé qualifies as small for the size standard corresponding to the NAICS code assigned to the SDVO procurement or sale. The All Small Mentor-Protege Program (ASMPP) was established in 2016 to extend SBA approved mentor-protégé relationships to every small business. If you are a company, then you can also participate in the SBA Mentor Protege Program for SDVSOB small businesses. Our consultants and attorneys can help in this area. SDVOSB Certification Application – Can You Appeal a Denial? the successful SBA 8(a) Mentor-Protégé Program. The SDVSOB appeal process starts with a Request for Reconsideration. After you receive your denial letter, you must provide an appeal letter clearly and conclusively addresses the concerns raised in your appeal. Provide evidence and documentation that substantiates your claims (you want to stay away from providing screenshots. Get certified copies of your documents. The appeal board must have a rational basis for granting your Request for Reconsideration. Our federal veteran owned business certification services offer general counsel for federal VA small business contractors seeking to meet the certification requirements and help with federal Service Disabled Veteran Owned Small Business Set Aside Contracts in all states regarding legal and non-legal matters about the certification process. We help with veteran-owned business certification and SDVOSB certification disputes in Alaska, Arizona, Arkansas, California, Colorado, Connecticut, Delaware, Florida, Georgia, Hawaii, Illinois, Indiana, Kansas, Louisiana, Maine, Maryland, Massachusetts, Michigan, Minnesota, Mississippi, Missouri, Montana, Nebraska, Nevada, New Hampshire, New Mexico, New York, North Carolina, Ohio, Oklahoma, Pennsylvania, Rhode Island, South Carolina, Tennessee, Texas, U.S. Virgin Islands, Utah, Vermont, Virginia, Washington, Washington, DC, West Virginia, Wisconsin, and Wyoming. If you need legal advice about federal contracting small business programs and SDVOSB certification requirements, general counsel, or consulting services for veteran owned businesses, call our government small business contract lawyers at 1-866-601-5518.